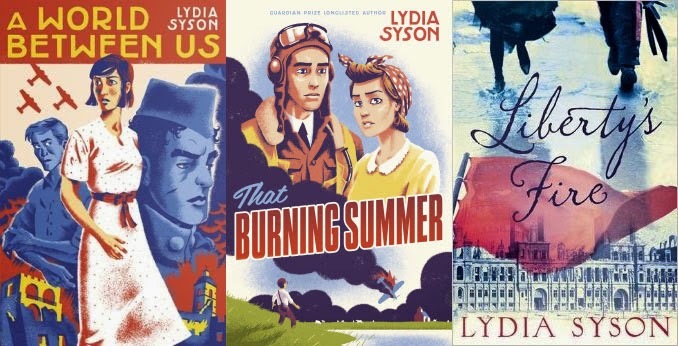 I'm incredibly pleased to be sharing with you today an interview with Lydia Syson, the author of three historical YA novels including Liberty's Fire which will be published this week. I hope you have already read my Author Spotlight earlier this week and my review of Liberty's Fire yesterday. I think this is a really wonderful novel, one that I highly recommend. Which is why I was very happy to pick Lydia's brain about some of the characters and story line of her new novel. I hope you enjoy! Hello and welcome to Fluttering Butterflies! Could you please introduce yourself and tell us a little something about your new book, Liberty's Fire? Thank you so much for having me! I’m Lydia Syson, and I mainly write historical fiction. Passion combined with politics have become a bit of trademark for me, and my latest book is definitely no exception. It’s set in Paris in 1871, nearly forty years after the revolution in Les Mis, and the barricades are rising again. You're no stranger to multiple POVs but Liberty's Fire has 4 perspectives! How do you juggle each of their stories and voices? And did you have a favourite? Actually, when I started writing the book I felt that it needed a strong, omniscient narrator – something you associate more with nineteenth-century fiction than current YA (think Victor Hugo and Dickens) – and something very different from A World Between Us and That Burning Summer. I was planning to focus on Anatole and Zéphyrine, a violinist and a working-class artificial flower-maker, destitute since the death of her grandmother. That didn't quite work out. I became so interested in Jules and Marie that I knew they had to have an equal share of the story. Gay characters in historical fiction are very rare, and after visiting the cemetery of Père Lachaise where the last battle of the Commune was fought, and seeing Oscar Wilde’s grave, I couldn't get that phrase ‘the love that dare not speak its name’ out of my head. And I could also see that Marie, a soprano at Anatole’s opera house, needed to be shown in all her complexity, because her situation was just as interesting and difficult as that of the other three. Being a woman of any class was pretty tough in nineteenth-century Paris. Fine-tuning the juggling of their interwoven stories and voices was something that happened in the rewrites. It tends to be quite instinctive for me. I’m not good at mapping complicated plots and story arcs, and always set my characters’ stories against a real, historical chronology. I did find it hard not to make them sound too English! And although that omniscient narrative voice I’d started with gradually retreated, I think it stayed with me just enough to hold the other four perspectives together thought the whole novel. As for my favourite, I think it’s Jules. Who is yours? My favourite is also Jules. Not only because I loved everything about his photography techniques but because I loved his relationship with Anatole so much. It felt very emotional and heart-breaking throughout. Jules, Anatole and Marie each have pretty creative outlets with photography and music. Why these hobbies and are they passions you share? I found the descriptions of Jules' photography in particular to be fascinating! Almost as soon as I started researching the Commune, I realised photography and music had to be central to the plot, for lots of different reasons. I was really struck by the operatic and theatrical imagery in so many accounts of the events of 1871: witnesses on both sides often compared the city to a stage. I wanted to get that sense of drama and spectacle into Liberty’s Fire. I wouldn't call myself an ‘opera buff’ but I’ve always loved going when I can. (By the way, if you book ahead and have a head for heights, you can still get seats at the Royal Opera House for less than the price of a West End cinema ticket! Cheaper than football!) Some of my absolute favourite operas are set in Paris, and were written in the 19th century. La Traviata, Manon and La Bohème all have me in tears, and were very much on my mind when I was writing. The figure of the fallen woman is ever present in those operas, and the redemptive power of love is another huge theme. As for photography, it was – as you say – a particularly fascinating time in the development of the art, and raises all kinds of questions about representation and interpretation and truth. (This next bit might need a ***spoiler alert***?!) In the aftermath of the destruction of the Commune photographs were used as criminal evidence for the first time in history, but also as propaganda, to turn people against the ideals of the Communards. One photographer even faked execution scenes using photomontages, which look crude today but were as convincing at the time as photoshopping is now. Eventually the authorities banned these images because they continued to be so divisive at a time when France was trying to forget the Commune had ever happened. I’m no more a photographer than I am a musician, but I love working with images when I’m writing, and it’s an art form I hugely admire. And in fact just this week, for the first time in my life, some photographs I took have been published in book called Wild Swimming Walks (http://www.wildswimming.co.uk/wild-swimming-walks-south-east/) full of brilliant recommendations for places in southern England where you can enjoy river-, lake, pond- and sea-swimming. The Spanish Civil War, World War II, now France in 1871. What is about these historical time periods that inspire you or grab your attention? They’re all times when people were fighting for their ideals and the stakes were very high. They are also epoques that have been heavily mythologised and/or romanticised. The distortions of Cold War historiography have meant that they are all ripe for re-evaluation, so there’s lots of interesting new material being produced by historians which most people will never come across, and, without being heavy about it, I love finding ways of conveying that kind of stuff to readers through stories that bring ideas alive, but don’t feel remotely like hard work to read. Tell me about Paris! Did you visit for research purposes? Did that play a part in setting your book there? Do you have a favourite Paris location? The idea of the Commune and what happened to it, and the significance of the event – for example for International Brigaders in the Spanish Civil War – meant the book had to be set in Paris, but of course I was also very excited to have a wonderful excuse to spend some time there. I was incredibly lucky in getting a grant from the Arts Council which not only allowed me to spend a lot of time in libraries in this country, but also to make two trips to Paris, where I stayed with an extremely helpful old school friend. My first ever experience of being alone abroad was in Paris, where I did a couple of amazing French exchanges in Paris in my teens, staying with a wonderful family who took me everywhere and showed me all sorts of things and fed me delicious food – and I used to go to Paris quite regularly in my twenties to visit friends, so I thought I knew the city reasonably well, for a casual visitor. But in the last year, my eyes have really been opened. I hope reading Liberty’s Fire will have the same effect on readers. As for locations, the museum at St Denis was a great new discovery, I have rather fallen in love with the 9th arrondisement which I didn't know well, and I’d urge everyone who goes to Paris to wander in the arcades or ‘passages’ where Anatole first met Jules. You've written about politics previously in A World Between Us and again in Liberty's Fire. What do you think modern readers can take from the ways in which politics has shaped history and what views, if any, do you have about the upcoming election? A lot! If nothing else, an understanding of how hard the struggle for democratic rights across the world has been, and how fragile these rights – and the right to protest - remain. In Britain, the right to vote was connected with property ownership and women didn't have voting equality with men until 1928. Eighteen-year-olds have only been voting since 1969. I know I’m getting old but that doesn't seem that long ago to me! I can’t deny that it’s horribly easy to be cynical and disillusioned about politics in this country, specially for young people, who face really tough times right now in terms of housing, employment and education. I desperately hope that reading about the past will help bring back idealism and passion into politics today. I’m constantly moved and inspired by the risks people have taken over the centuries in their efforts to make the world a fairer and more equal place. I’d love to hear more young people talking about politics, and enthused by the idea by making an informed choice – informed by the past as well as the present. If you get yourself to a polling station, you can play your part in shaping the future. Voting for the first time should be really exciting and I’m really hoping that the last minute campaign to get more young people and women and people from all kinds of minority groups to register – the recent change to the system made this necessary – will have had an impact. A World Between Us begins during a world recession, when immigrants were scapegoated and far-right views became so acceptable that, during the 1935 Jubilee celebrations, people lining the streets greeted the royal parade with a fascist salute. How far away are Nigel Farage and UKIP from Oswald Mosley and his Blackshirts, who supported Hitler and Franco and Mussolini? Liberty’s Fire tells the story of the Paris Commune, a revolution of working people partly triggered by the enormous gulf between rich and poor in 19th century Paris. In this country the child poverty crisis gets worse each year yet there are more sterling billionaires living in London than any other city in the world. We need to talk about these things, and how and why we arrived here. Inequality is bad for everyone, and the young suffer most. How have we let globalisation and multinational power take over from the internationalist ideals of both the Commune and the Spanish Civil War anti-fascist volunteers? 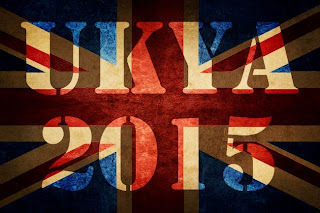 So, yes, I've got a lot of views about the upcoming election - so nailbitingly close – more than we've got room for here! I’d say that it’s more important than ever to engage with politics, but there are lots of ways of doing this, and it doesn't have to be party politics. And even if you can’t support one party’s policies 100% (which is hard), imagine the alternative might be, and vote (or argue if you’re too young!) against that. I'm only a recent convert to reading YA historical fiction. Do you have any further recommendations for me and other sometimes-reluctant historical fiction readers? 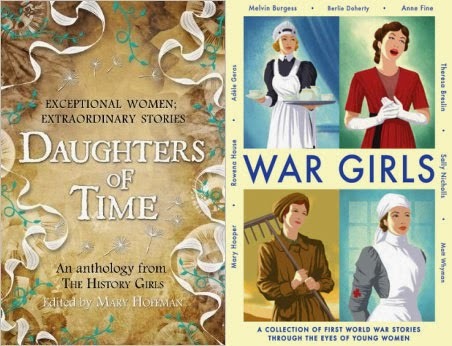 Two wonderful anthologies came out last year, which offer a chance to dip into a great range of historical writers and see who and what takes your fancy: Daughters of Time from The History Girls (a group blog - http://the-history-girls.blogspot.co.uk - which I've joined relatively recently, and another good place to get ideas) and War Girls, which are all stories of women and girls set during WW1. 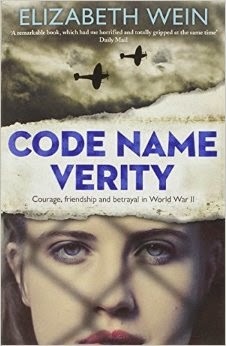 I’m a big fan of Elizabeth Wein, and I think Code Name Verity will be a classic – I defy anyone not to find it gripping. But I think the most important thing is to experiment widely, and plunge right in without worrying too much about when a book is set or whether it might be just like school. Historical fiction encompasses love stories, thrillers, detective fiction, fantasy, ghost stories, war, and often a combination, so it depends what you’re in the mood for. Surprise yourself! And finally, Liberty's Fire was definitely one of my most highly anticipated reads of 2015. Which book(s) (UKYA or otherwise!) would be on your list? Thank you! That’s wonderful to hear. A long list… There’s so much great YA also coming out just this Thursday, including Keren David’s This is Not a Love Story (I loved seeing Jewish North London teenage life in a novel for the first time when I read early drafts of this), Liz Kessler’s Read me like a book, Lucy Coats’ Cleo, and while I’m encouraging others to step out of the boundaries of their favourite genre I should do the same and read more fantastical books, I must say I’m really intrigued by Frances Hardinge The Lie Tree - Kent, islands, 19th century, rumour – it’s ticking all the right boxes for me. As a mother of identical if not conjoined twins and a fan of The Weight of Water I can’t help looking forward to Sarah Crossan’s One. Nigel MacDowell is a wonderful writer tackling a time and place close to my heart in The House of Mountfathom. I’m already feeling autumn is too long to wait for this and also Catherine Johnson’s sequel to the fabulous Sawbones, which takes our characters to Paris and into the fray of the first French Revolution. On the adult side, I want to read the new Toni Morrison, God Help the Child. I read all her early work but have got very behind in the last few years. I loved Skippy Dies and think I won’t be able to resist The Mark and the Void. There’s a new Pat Barker: Noonday. And I’m planning to read Elena Ferrante’s Neopolitan novels in Sardinia this summer, ready for the publication of the 4th book in September. 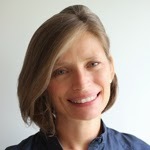 As for non-fiction, there’s a new interpretation of the Holocaust by Timothy Snyder and I’m not sure when Kate Summerscale’s new book is out but I hope it’s soon. But I’m also looking forward to some surprises myself. Thank you so much, Lydia, for these wonderful answers! 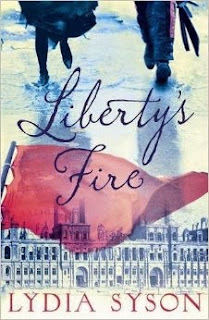 Liberty's Fire by Lydia Syson will be published by Hot Key Books on the 7th of May! Do look out for it.